Country music has its cross-over artists (Glen Campbell, Johnny Cash, Charley Pride, etc.) but it also has its outsiders. Artists like Buck Owens, while Country at his core, also rode a fine line between that genre and rock ’n’ roll. In the more modern idiom there are a handful of artists who defy labeling—the Canadian k.d. lang is one such songwriter/performer. He doesn’t merely play a guitar. Nor does he satisfy his musical leanings with the plaint of a steel guitar. No, roots rocker Junior Brown relies on an amalgam of both electric guitar and steel guitar, a device of his creation. It is this wondrous instrument, which rocks and whines and cries, for which Junior Brown is most famous, the guit-steel. The sincerity of any musical act can be determined by the commitment they make to not only the lifestyle (sleeping on couches and floors) but in their instrumentation as well. Sonic Youth, to develop and maintain their dissonant sound, modified their guitars so they could put out the atonal droning that was that great No Wave band’s trademark sound. From that glorious noise came melody and song structure, unique to Sonic Youth and never successfully repeated since they disbanded. Sometimes, though, to get a certain sound, an artist can’t merely tinker with his or her existing instrument. Sometimes a whole new instrument has to be created to reproduce the sounds or to interpret what is in the artist’s head. The young Russian physicist Lev Sergeevich Termen invented what he thought would be used as an orchestral instrument (originally, he was doing research in a government-sponsored program to create proximity sensors). This instrument, developed in October 1920, used electrically-induced magnetic fields through which the performer moved his or her hands. By disturbing the electro-magnetic fields sounds could be produced though an amplification system. Two antennae controlled the output: a looped, horizontal one determined the volume and a vertically placed one changed the pitch. Lev Termen finally patented the gizmo in 1928 under the name “Thereminvox”. He spent time in concert venues demonstrating it. However, it was the Westernized version of his last name, “Theremin”, by which the device he invented came to be popularly known. Today, most people know little of the theremin, and there aren’t many in existence. Its haunting tones, recognized by the populace while virtually no one knows what the device looks like (though in recent years a reproduction of one was featured in an episode of CBS’ hit sitcom, The Big Bang Theory), were used as sound effects in many sci-fi movies and horror films of the 1950s and beyond. Of the few hundred that were made, only a handful survives. The theremin, however, was the forerunner of the modern synthesizer. Many musicians have made their own instruments over the centuries. It is one of few guitars in the world that is immediately recognizable by itself when not in the hands of its owner. It is unique in every sense. Brian hand-wound the guitar’s original three pickups, and the neck was carved from a piece of wood from a 19th Century mantle piece; wormholes in the neck’s wood stock were filled with matchstick pieces. But Brian May’s guitar was not a newly-created gadget (like the saxophone, invented in 1846 by the Belgian, Adolphe Sax). It was an existing instrument he custom built. Jamieson “Junior” Brown (born in Cottonwood, Arizona, in 1952; another source records his place of birth as Indiana) needed something a bit different to play his particular brand of twangin’ rock ’n’ roll. He started out learning to play piano, but by the late 1960s he was playing pedal steel guitar and regular electric guitar for different house bands. He turned his interest in guitar playing to teaching it in the mid 1980s in Oklahoma. His need for an instrument that could accommodate his quirky playing (rockabilly combined with some Country overtones) led him to invent the guit-steel in 1985. This phenomenal implement combines the full fret-board of an electric guitar with the neck of a lap steel guitar that can be played with a slide. The double-necked device can be played using a shoulder strap but more often Junior plays it while the instrument is secured to a small music stand. 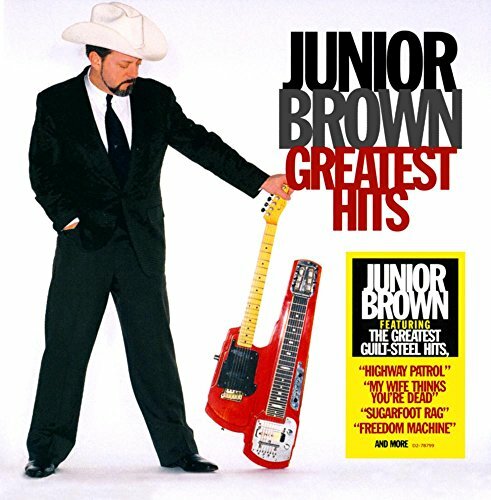 Junior Brown is a rocker at heart and most of his tunes (over nine studio albums) carry the old-school rock ’n’ roll sensibilities that George Thorogood purveys. 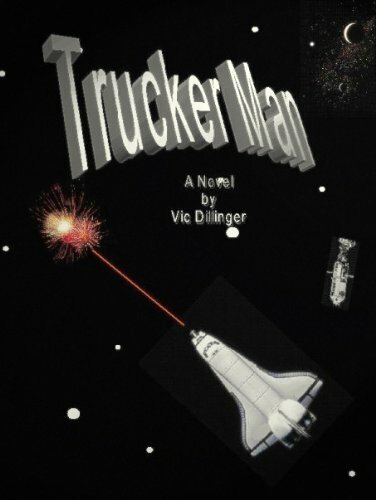 His voice is a throaty and rich baritone, and he honks and tonks with the best of any Country twanger. It is his fretwork (working the tremolo by hand at the bridge) on the guit-steel that makes his tracks so amazing. And it is best experienced live where Junior tears it up onstage. He can cover The Ventures’ “Walk, Don’t Run” ripping up the fret board of the guitar part of the guit-steel, then twang in with some work on its lap-steel neck. The versatility this instrument brings makes his sound unique in rockabilly. Junior Brown created it, he said, to fill his musical need to have the sound of both the electric guitar and the steel guitar featured in his live performances. His show-closing medleys are usually nine or ten minutes long and feature great work on the guit-steel. While Junior Brown (who has played with Bob Dylan, Beach Boys, and has worked with George Jones among other greats) remains mostly a cult figure in American music the guit-steel itself is instantly recognizable, an icon in pop music. I've been a fan of Junior's since I heard "My Wife Thinks You're Dead," but I had never seen him live until last year. He is superb live, and I'll be seeing him again, that's for certain! Junior is unique. I like his delivery on his vocals, kind of wry with a great sense of humor. And the guit-steel can rock! Thanks for reading. "Theremin." Britannica Ready Reference 2003. 2002.